Situational questions, similarly to behavioral questions, address your attitude to various situations that may happen on the workplace. Your answers to them help the hiring managers to understand your readiness for the job, and your attitude towards work and towards life. How would you handle stress? How would you deal with a conflict with a colleague? What would you do if you were behind the schedule with your work? What would you do if you lacked the motivation? Since certain situations repeat on every workplace (managers, laborers, or technical experts, they all experience conflicts, pressure, the successes and failures, and other things), recruiting managers who opt for situational interview will ask you similar questions every time you interview for a job. 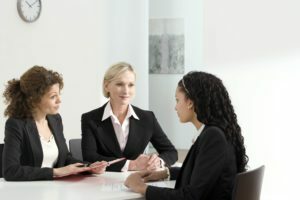 The basic difference between behavioral and situational interviewing is that the first one addresses your past (you talk about situations that already happened to you), while the second one addresses your future (or fiction, or opinion, since you talk about hypothetical situations, scenarios that may happen, that are likely to happen in your new job). If all recruiters were smart, they would use situational questions with entry level job applicants, and with young people in general, and would opt for behavioral questions with experienced job candidates. However, since not all interviewers know what they do, and since people with and without experience often mix in the interviews, you can get behavioral questions even if you apply for your first job. How would you deal with a pressure on the workplace? You have a few options of a good answer. You can say that you would focus on your job, on your daily duties, and won’t let the pressure to affect you. You can also claim that you work better under pressure, and are used to experiencing it. Another alternative is to say that you would do your best to help to ease the atmosphere on the workplace, and the pressure, for you and for all your colleagues. How do you feel about sharing the office with thirty other people? Open office is a common concept nowadays, mostly because some studies proved that people waste less time when working in open office (other people watch you, so you are likely to spend less time checking your Instagram account, or watching silly videos with cats). Bearing this is mind, you should say that you plan to work hard, and like direct interaction with colleagues, and therefor you’d not mind sharing the office with many other people. Imagine there was a problem and you could not solve it. How would you proceed? This is your chance to show humility, to show that you are ready to admit your weaknesses and mistakes, and ask another person for help. Tell the recruiting managers that you would consult your colleagues, or even external experts, while trying to handle the problem. Two of your team members come to work drunk. What would you do? Rule is a rule, and alcohol shouldn’t be tolerated–regardless of the person who broke the rule. Tell the interviewers that you would report your colleagues immediately. Show them that you know what’s right, and would not let your emotions to affect your decisions. Imagine that your manager assigned you a task, but you knew it was impossible to accomplish it in time. How would you deal with the situation? This really is a tricky question. What is actually impossible? Can we deem anything impossible? Anyway, unless you love to play with words, you should simply say that you would explain the manager the reasons why it was impossible to accomplish the task in time–according to your opinion. Then you would suggest a solution, which can be getting assistance from one of the team members, or assigning more time for the completion of the task. How would you cope with a professional failure? Failures belong to job, they belong to our life. Of course you try your best (or at least you should), and it hurts when you fail to reach your goals. But you should claim that you are ready for the failures, and that your way of coping with them is learning the lessons, getting the best out of them, and moving on to another project. Changing the subject, changing the tasks, and forgetting on the failures quickly is a way to cope with them. You were informed that one of your team members were dismissed by a general manger. The problem is that from your point of view, they were indispensable for a team. What would you do? Another tricky question. Certainly you should respect the hierarchy in the company, and the decisions of your boss. On the other hand, you should give feedback on their work, and you should protect the integrity of your team, and the success of the company. Perhaps the best answer is to say that you’d ask general manager for a personal meeting, explain your reasons, and try your best to convince them to change their decision. If it didn’t work, however, you’d accept their decision as a final one. What would you do if you felt sick in work? A good answer to this question depends a lot on the position you apply for, the shift patterns, and many other variables. Anyway, you should ensure the hiring managers that you try your best to stay healthy, and do stay at home anytime a slight headache or stomach ache hits you unprepared. Show them that you are a responsible employee, and try your best to not miss the work. How would you ensure you meet the goals we have in the company? Another tough one, and a good answer depends on the position you apply for. In any case, however, you should try your best to convince them that you are ready to work hard, to learn, to cooperate with other people, and sacrifice something for the company, while trying to help them to achieve their lofty goals. Situational and behavioral questions have their steady place on many interview templates. Your answers to them reveal a lot about you, and they help the interviewers to make qualified and reasonable decisions about hiring you, or sending you home. Work with our list, and try to prepare for the most common questions. If you need help, however, have a look at our Interview Success Package where you will find multiple brilliant answers to all tough questions. 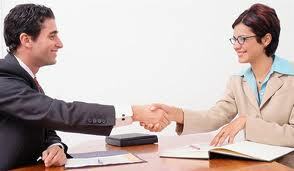 Teamwork interview questions – Learn how do the employers test your teamwork ability in the interview. Body language in an interview – What do your gestures and movements say about you? Can we control our non-verbal communication? Everything you need to know about this topic.